I’ve got the Wait List Manager installed and it’s working, but when you add a name to the wait list, the confirmation popup keeps popping up as you travel through the site – until you clear your browser history. Is this a known issue? What can I do to stop it? That is a known issue and the dev team will be working on a fix for this. In the meantime, you can go to your site’s /registration-cancelled/ page and that will clear the session, and remove that notification. Thanks so much, at least I know it’s not me! The support post ‘Wait List confirmation pop up’ is closed to new replies. 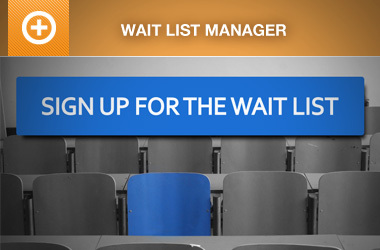 Support forum for the Wait List Manager add-on for EE4. Documentation for the Wait List Manager add-on.